For over 10 years, Green Thumb Lawn & Landscape has been serving the people and businesses of the Central Kentucky area. We provide a wide range of lawn, landscaping, and maintenance services to residential, commercial, homeowner association, and government properties. We transform even the dullest and drabbest lawns into something more vibrant and dynamic. We are a family-owned and operated business based in Campbellsville, Kentucky. 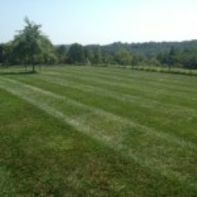 We love helping and working with our neighbors in Campbellsville, Somerset, Russell Springs, Columbia, Edmonton, Glasgow, Bowling Green, Hodgenville, Elizabethtown, Bardstown, Springfield, Lebanon, Louisville and the entire Central Kentucky area achieve the lawn and landscape of their dreams. 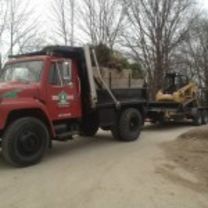 Green Thumb Lawn & Landscape has a highly motivated and professional staff ready to help you with all your lawn, landscape, and maintenance needs. Our experienced and knowledgeable staff is able to handle yards and properties of all shapes and sizes. No two lawns are alike, so we cater our services to the unique needs of your lawn and landscape. Whether you’re in Taylor, Green, Adair, Marion, Larue, Hardin, Barren, Metcalfe, Jefferson or Bullitt County, our goal is to provide affordable, dependable, quality lawn and landscape service. Green Thumb Lawn & Landscape provides personalized, customized, and affor dable lawn and landscape services. Our customers are the key to our success and we strive for 100% satisfaction, one yard at a time. Let us take over your lawn and landscaping needs and your lawn will get the attention and care it deserves. If you take pride in the appearance of your lawn and landscape, join the many satisfied customers of Green Thumb Lawn & Landscape.